Sharjah, UAE, is the first city in the Gulf region to hold the title, and the third in the Arab world after Beirut and Alexandria. The current UNESCO World Book Capital is Athens. '"From Bat to Book" will grant cricket fans in Sharjah the chance to meet their cricketing heroes. Top international players will share extracts from their favourite books in Malayalam, Urdu, Hindi, and English in a series of events that will be held across Sharjah and that will include friendly cricket matches between community groups and companies. 'The Reading Caravan will travel from place to place, setting up a Bedouin tent which will be transformed into a library wherever it goes. Meanwhile mobile libraries will be patrolling Sharjah’s public spaces, from its beaches and parks to its hospitals and shopping malls, carrying a wide selection of titles for Sharjah’s rich mix of peoples, including those from the Indian subcontinent and the Philippines, and from the minority Palestinian, Syrian and Lebanese communities. 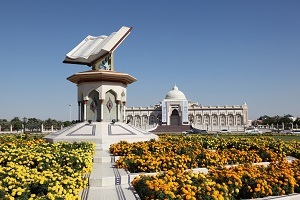 'Signature annual events including the Sharjah International Book Fair, Sharjah Childrens Reading Festival, Sharjah International Storytelling Festival, and the Sharjah Light Festival will have enhanced programmes that celebrate the World Book Capital. 'Sharjah has become well-known in the world of publishing for its International Book Fair, one of the three largest book fairs in the world, now entering its 38th edition. The city’s investment in publishing has grown significantly with the creation in 2017 of Sharjah Publishing City, a UAE-based free zone exclusively for the publishing and printing industries. 'Publishing City was created as a response to the growing need for a specialized publishing hub in the Arab region, and in the space of a year publishers from 17 countries have started operating out of the 40,000 sq metre facility, which also houses the Emirates Publishers Association. Bodour Al Qasimi, head of the Advisory Committee of Sharjah World Book Capital 2019, and vice president of the International Publishers Association (IPA) said: "April 23 will mark the beginning of a new chapter in Sharjah’s pioneering achievements and efforts to host leading cultural events and initiatives locally, regionally and globally. The event will offer a gateway to all 200 nationalities residing in the UAE to explore various sources of knowledge and culture. 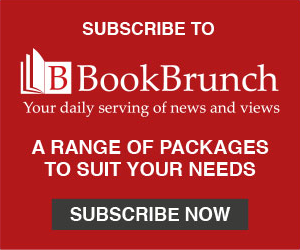 It will also be a unique platform for intellectuals, authors, publishers and artists to showcase their creativity and contribute to highlighting the irreplaceable value of books in promoting dialogue and empathy among civilisations around the world."